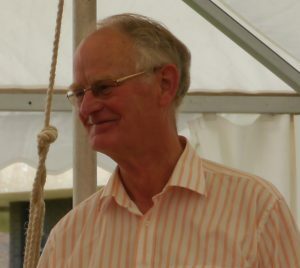 Antony Copley, a loyal member of the School of History, died on 18 July 2016. Antony saw active service during the Suez Crisis, then studied at Oxford and taught at Bangor before joining the University of Kent in 1967. He specialised in 19th century French and Indian history and retired in 2002 as a Reader. He remained an active member of the School and University, attending events and continuing to research and write books, including Music and the Spiritual: Composers and Politics in the 20th Century (2012). He also generously sponsored the Copley Prize for the best final year history dissertation, and enjoyed judging them and presenting the prize itself. In 2014 Antony became an honorary Professor of Modern European and Indian History, which gave him much pleasure. Last year he published his autobiography, A Memoir: Historian and Homosexual: Search for a Postwar Identity. He will be much missed by those who knew him. Antony’s funeral will take place at St Clement’s Church, Sandwich, at 15.30 on Tuesday 2 August. A memorial service will be arranged in Canterbury in the autumn. An obituary written by Lavinia and Dan Cohn-Sherbok appeared in The Guardian on Monday 1st August 2016 – Antony Copley obituary. ← Back to the School of History website.